Many of us only purchase string lights for special occasions and holidays like Christmas, Thanks-Giving or birthday parties. Afterward, the lights are brought down to await another occasion where they will be applicable. However, LED string lights have revolutionized home, and decor services as one home decor accessory that should never miss at home. Here is a review of the top seven best LED string lights and their features. This is one of the best LED strings lights in the market. The Ehome 100 LED string lights are high-quality, low-heat and energy-friendly lights that blend beautifully with furniture, plants, doors, windows, staircases, balcony or even bars. They are powered through a 5V direct power supply through any USB power source. 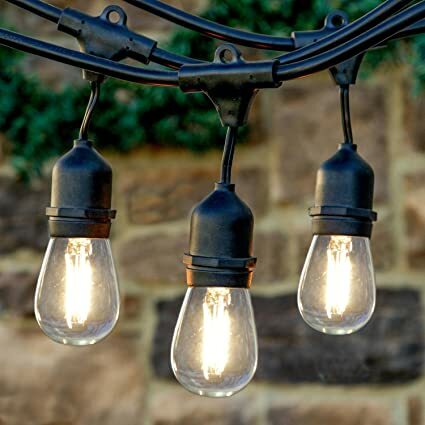 The lights are delicate but durable with insulated paint copper wire that enables them to light for long without over-eating. They come with an 8-function controller which enables you to customize the light patterns and choose your desired color shade. According to customer reviews on Amazon, the lights are high quality, water-proof and versatile enough to be used even outdoors. If you are looking for long, multi-colored LED lights with a wide range of colors to choose from, then the Homestarry LED String Lights are the choice to go for. The lights measure 16ft in length with 50 individual, small-size bulbs powered by 3 AA batteries. Each wire strand comprises of 4 high-quality, waterproof, silver wires for durability and to prevent wear and tear by children and pets. The lights come with 13 different color illumination modes that can be easily changed using a 21 button remote control. The remote has two flashing modes and brightness control button. This particular brand also comes with a longer 33ft model for customers who have larger lighting areas. 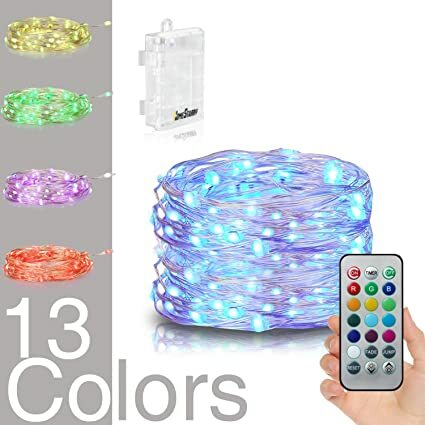 According to customer reviews on Amazon, these are the best lights for anyone looking for lights with different color illuminations. They are bright enough for indoors and outdoors. These are not only some of the longest LED lights but also some of the most durable and energy conservative lights in the market. The INST Solar Powered LED String Lights are 100% plastic for durability and less fragility. They are powered by solar energy through a 0.2W~0.5W solar panel that saves energy throughout the day and automatically light up after sunset. They produce a warm white illumination that is bright enough to light up your indoors and outdoors. It comes with two working modes; Steady on mode for between 8~10h and Flash mode 10~20h without the need to recharge the solar battery. The entire thread is well insulated, waterproof and durable. 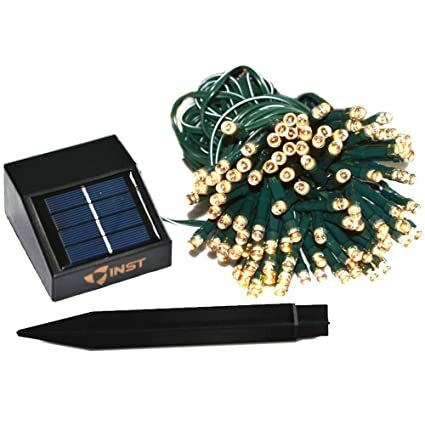 According to customer reviews on Amazon, the INST Solar Powered LED String Light covers a larger space, save on energy magnificently and yet remain bright enough to be used indoors and outdoors. This is another bunch of LED lights worth considering when purchasing lights. 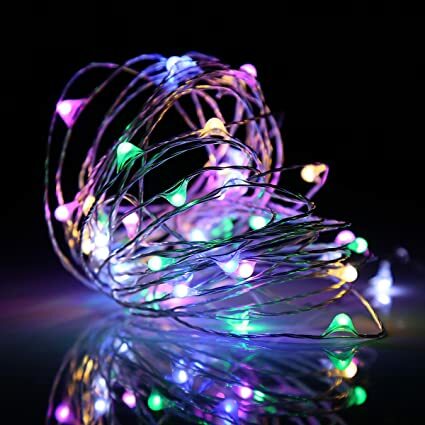 TaoTronics lights come as 33 feet of lighting wire with 100 individual LED colored lights. They come with small bulbs that produce immense light making them conducive even out-doors. They come with different working modes that can be controlled through a 24 key remote. The bulbs are durable and coated with a waterproof material. According to customer reviews on Amazon, the TaoTronics LED lights are the best bet for people looking for extra-bright lights for both indoor and outdoor uses for a long period of time. If you are looking for shorter, brighter, battery-powered LED lights, then this is the ones to go for. The YIHONG lights consist of 50 translucent globes, made from translucent plastic. This makes them durable and less fragile. It also enables the lights to stay on for long hours without over-heating. The lights source of energy is three AA size batteries that will light them up for long hours before the need to replace. They come in eight different working modes and guarantees low power consumption. According to customer review on Amazon, the YIHONG LED lights are the best choice for people who prefer battery powered lights. They durable and can be used both indoors and outdoors. Drains battery too fast for some customers. The Cymas LED lights are 15 Warm white led bulbs to create excellent illumination for a distance of up to ten meters. The string light can be extended to increase the distance between each bulb. The lights are powered by a 120V AC via a plug available in all homes. They guarantee minimal power consumption by saving up to 80% more energy than the traditional incandescent lights. The snow white light emission is bright enough to light up a garden, porch, bedroom, door and any form of parties. The bulbs are not entirely glass to ensure that they are less fragile. According to customer review on Amazon, Cymas LED lights provide one of the best light illumination shades for any LED lights. The snow white illumination makes them applicable in any room across the house. They are however perfect for outdoor garden, porch or patio. These are by far the best and most durable LED lights that the market has to offer at the moment. 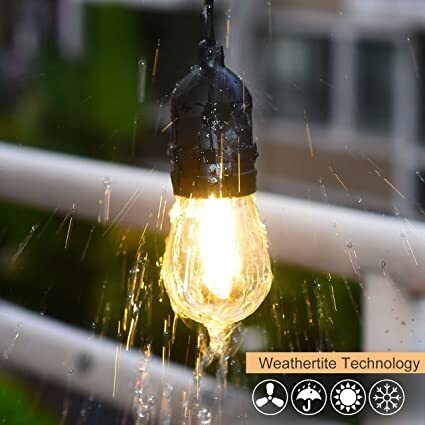 The Brightech Ambience lights are primarily designed to withstand extreme weather conditions, making them the best option for anyone looking for outdoor lights. Each strand consists of 14 LED lights each powered by 4-watt of energy. A 48-foot lets you customize your arrangements and fix the lights from one point to another. 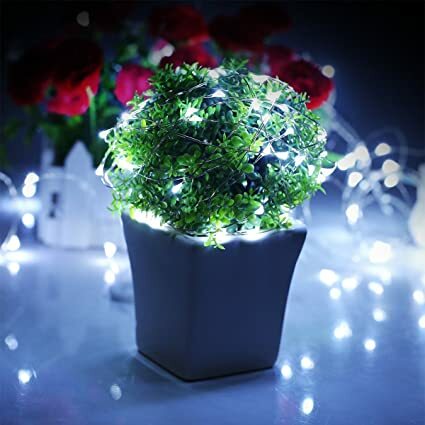 According to customer reviews on Amazon, these are the best lights, especially for outdoor decoration. They are durable and can withstand extreme weather conditions for a long time and still work fine. 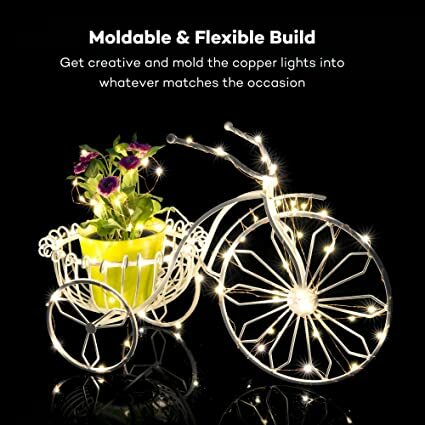 LED string lights have proven to be a good source of lighting and decoration in many homes around the world. Some of the main features to consider when acquiring lights include the power consumption, durability, color options, and brightness. These are factors that the above seven lights have satisfied, making them the best available in the market.